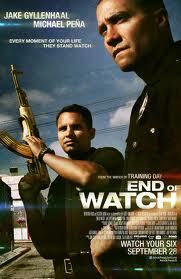 END OF WATCH is a Los Angeles set cop thriller that turns convention on its head. Instead of a portrait of Rampart-style corruption, cynicism and racism, we get two guys who are genuinely nice, genuinely fun to hang out with, and genuinely want "to serve and protect". Even more radically, despite a dire warning from their jaded older colleague (David Harbour), the LAPD has their backs. Their superiors do not screw them over for uncovering malfeasance - indeed, there is rarely a hint of a corrupt cop in their immediate hierarchy. Their commanding officers have their backs, and they are the heroes of the department. In other words, while this might be a harsh world of drugs, human trafficking, child abuse and general nastiness, we can trust and rely on the LAPD to see us right. This rather controversial message is sold by the lead performances of Jake Gyllenhaal and Michael Pena as the patrolmen and best friends. Gyllenhaal plays a refreshingly bright young man, who's tired of banging "badge bunnies" and wants a nice girl to settle down with. 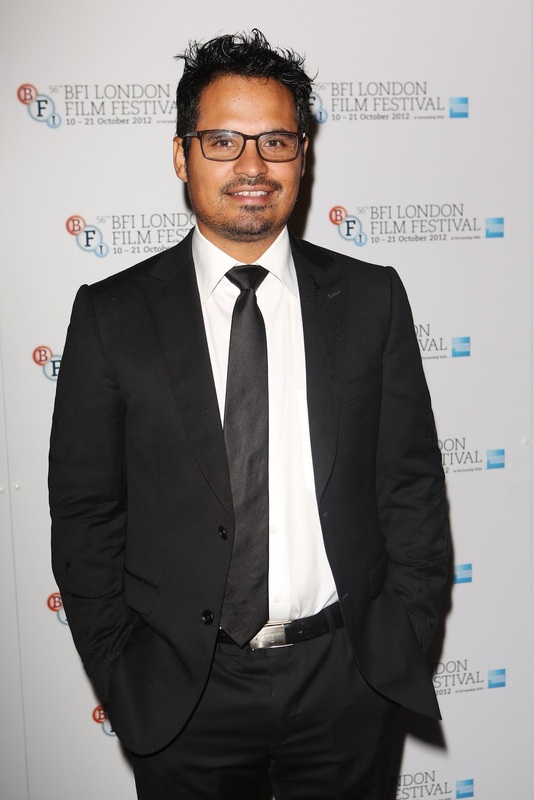 Pena plays his wiser, more settled partner. They both have a natural chemistry, and frankly I could've just spent two hours rolling with them and listening to their hilarious anecdotes. It's a sterling performance from Gyllenhaal and a break-through role for Pena, who hopefully will be offered more interesting roles from Hollywood than the standard Hispanic sidekick fare. The result is a movie that is softer and more heart-warming than TRAINING DAY, despite showing a similarly brutal world. I was deeply affected by the performances and consistently surprised by the lack of histrionics. I have mixed feelings, however, about the conceit of having Gyllenhaal's character a keen amateur cameraman. On the one hand, the conceit of handheld cameras and the copcar POV gives the movie an immediacy and intimacy that is impressive. However, the conceit is not sustained - shots are shown that clearly aren't found footage, and that was jarring for me. END OF WATCH played Toronto and London 2012 and is on release in Canada, the USA, Greece and the Netherlands. It opens next weekend in Hong Kong and Sweden. It opens in Australia on November 1st, in Argentina and Portugal on November 15th; in the UK on November 23rd; in Denmark and Norway on November 20th; in Belgium and France on December 5th and in Germany on December 20th. The running time is 109 minutes. Michael Pena on the red carpet.